Born: 7 March 1864, London, United Kingdom. Died: 22 September 1932, London, United Kingdom. Frederick Henry Hatch, geologist and mining engineer, went to school in London and Paris. He started his tertiary education at University College, London, where he won a gold medal in chemistry and a bursary. He studied mainly chemistry, but also mineralogy. In 1883 he went to the University of Bonn, Germany, where he was awarded the degree Doctor of Philosophy (PhD) in petrology in 1886. His thesis, Ueber die Gesteine der Vulcan-Gruppe von Araquipa dealt with the petrography of rocks from Peru. That same year he joined the Geological Survey of Great Britain and Ireland as a petrographer, remaining to 1892 and working mainly on the petrology of the igneous rocks of Scotland. During these years he established himself in his profession by the publication of several important textbooks. His An introduction to the study of petrology: The igneous rocks (1891) was soon followed by a second edition under a new title, Text-book of petrology... (1892), and by many subsequent editions. During the same year he produced Petrology of the igneous rocks (1891), of which the 12th edition, revised by others, was published in 1961. Likewise his Mineralogy (1892) appeared in its sixth edition in 1931. He joined the British Association for the Advancement of Science in 1889. In 1891 he married Mary Elizabeth Randall; one of his sons, Gilbert F. Hatch, became a mining engineer on the Witwatersrand. In 1892 Hatch set up practice in Johannesburg as a geologist and mining engineer. His first paper to be published in South Africa was a note on the De Kaap goldfields in the eastern Transvaal, which appeared in the South African Mining Journal (1894). With John A. Chalmers* as co-author he wrote The gold mines of the Rand... (London, 1895), which remained the standard work on the subject for many years. Though dealing mainly with mining, it included a description of the geology of the Witwatersrand in which the authors reviewed the evidence for a decrease in the dip of the strata with depth, and the persistence of gold values with depth, on the central Rand. In 1897 Hatch published a geological map of the southern Transvaal (scale 4 miles to the inch, i.e., 1:253 440), which represented one of the first systematic geological studies of the region. A second edition was published in 1903. The map was largely based on his own geological survey of the Witwatersrand and other districts in the southern Transvaal, which was described in the Quaterly Journal of the Geological Society (1898). He adhered to the view of Dr Adolf Schenck*, who correlated the Witwatersrand beds with the Cape Supergroup, and he divided the rocks of the southern Transvaal into a lower group (Hospital Hill Series and Witwatersrand Series) and an upper group (Klipriviersberg amydaloid to Magaliesberg and Gatsrand beds). Hatch left for England in 1897 and worked for short periods in Canada, the United States, Ethiopia and India. He returned to South Africa in 1902, at the end of the Anglo-Boer War (1899-1902), to work as consulting engineer for Lewis & Marks of London. During the next few years he investigated the distribution of the Witwatersrand Supergroup and the position of the Main reef series under the dolomite and Karoo strata on the east Rand, with the help of systematic drilling. The results were published in the Transacations of the Geological Society of South Africa in 1904 and eventually led to the opening of new mines on the far east Rand. Some of the many other papers he published in the Transactions during this period were "A description of two geological sections taken through the Potchefstroom district" (1903); "The boulder beds of Ventersdorp, Transvaal" (1903), in which he named the Ventersdorp beds (now Ventersdorp Supergroup); "The geology of the Marico District, Transvaal" (1904); "The geology of the Bezuidenhout valley..." (with G.S. Corstorphine*, 1904); "The oldest sedimentary rocks of the Transvaal" (1904); "The petrography of the Witwatersrand conglomerates..." (with Corstorphine, 1904); and "The Cullinan diamond" (with Corstorphine, 1905). That year he and Corstorphine furthermore published The geology of South Africa (London 1905), the first textbook to cover the whole of the country and the only one to do so for the next twenty years. At the joint meeting of the British and South African Associations for the Advancement of Science in South Africa during 1905 Hatch read a paper on "The correlation between the pre-Karroo beds of the Transvaal and those of the Cape Colony", a problem that continued to exercise the minds of geologists for many years. He also read a paper on "An instrument for surveying deep boreholes", describing a device that used photographs of a plumb line and magnetic compass to determine the deviation from the vertical, and the direction of the deviation, of boreholes. In 1903 he served as a member of the commission on technical education in the Transvaal Colony. During 1903-1904 he served as honorary secretary of the Geological Society of South Africa, and in 1905 as its president. His presidential address dealt with the "Succession, thickness and geological history of the South African formations". He was a member of the South African Association for the Advancement of Science at this time, and a member of its council in 1904/5. He had by this time also been elected a Fellow of the Geological Society of London. Hatch left South Africa again in 1906 to examine the Siberian goldfields. The next year, with E.J. Vallentine, he wrote Mining tables... (London, 1907). In 1909 he returned to South Africa once again, having been commissioned to make an official survey of the mines and mineral resources of Natal and Zululand. During this work he collected a series of rocks and minerals for the Natal Museum and compiled a catalogue of the collection which was published in Pietermaritzburg in 1909. He also discovered fish remains in the Ecca shales near Ladysmith (Natal) and described his discovery in the Annals of the Natal Museum (1910); the fish themselves were described by A.S. Woodward* of the British Museum. Hatch's Report on the mines and mineral resources of Natal..., including geological and mineral maps of the colony, was published by the Natal Department of Mines in 1910. From 1910 Hatch lived in Cambridge for three years, delivering a series of lectures on economic geology which were published in book form years later as Introduction to the study of ore-deposits (London, 1929). Another important textbook by him, written in collaboration with R.H. Rastall, appeared in 1913: The petrology of the sedimentary rocks (3rd edition 1937). In 1914 he moved to London and that year was president of the Institution of Mining and Metallurgy. 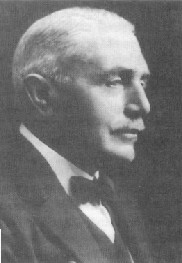 From 1916 to 1919 he served on the advisory committee on mineral deposits of the Imperial Institute. Also during World War I (1914-1918) he served on a British ministerial committee dealing with munitions, a position in which he was able to give valuable advice to the steel industry. After the war he wrote The iron and steel industry of the United Kingdom under war conditions (London, 1919). From 1920 to his death he was a technical adviser on metal mining to the Department of Mining. His last paper pertaining to South Africa, on the geology of the far east Rand and the Heidelberg district, was published in the Geological Magazine in 1922. His final book was An introduction to the study of ore deposits (Chicago, 1929). Hatch was a hard worker with wide interests, who's numerous publications contributed substantially to knowledge of mineralogy, petrology, economic geology and mining. One of the rare minerals from the Binnenthal, Switzerland, was named hatchite after him. Anhaeusser, C.R. (ed.) A century of geological endeavour in southern Africa, 1895-1995(pp. 15, 20, 115, 117). Johannesburg: Geological Society of South Africa, 1997. Annals of the Natal Museum, 1910, Vol. 2(2): Papers by Hatch and Woodward. Corstorphine, G.S. Presidential address: The history of stratigraphical investigation in South Africa. Report of the South Arican Association for the Advancement of Science, 1904, pp. 145-181. Geological Society of South Africa. Proceedings, 1915, Vol. 18, p. xiii and 1920, Vol. 23, p. xii: Past presidents, and Past secretaries; Transactions, 1906, Vol. 10, list of members. Obituary: Frederick Henry Hatch. Transactions [and Proceedings] of the Geological Society of South Africa 1933, Vol. 36, pp. lxv-lxvi. [Obituary]: Frederick Henry Hatch. Quarterly Journal of the Geological Society of London, 1933, Vol. 89, pp. xciv-xcvi. South African Association for the Advancement of Science. Report, 1904, Office bearers; 1905/6, list of members. South African Committee for Stratigraphy (SACS). Stratigraphy of South Africa. Part 1: Lithostratigraphy... (Comp. L.E. Kent). Pretoria: Geological Survey of South Africa, Handbook No. 8, 1980. Spencer, L.J. Biographical notices of mineralogists recently deceased (Fifth Series). Mineralogical Magazine, 1933, Vol. 23, pp. 337-366.